Derek Smith was a talented jazz pianist, born on August 17th, 1931 in England. He started playing very young in British big bands and orchestras, later moving to USA. There, he was part of the famour Tonight Show Band, also leading his own combos. Derek Smith passed away on August 19th, 2016. I'll be completing this page whenever I have free time to do it. Meanwhile, just a few lineups and album credits. 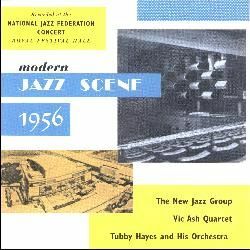 There's a collective live album called British Modern Jazz Scene 1956, recorded live in February 1956 by Tubby Hayes & His Orchestra (7 tracks), Vic Ash Quartet (4 tracks) and New Jazz Group (this lineup, 4 tracks). Derrick Abbott, Vic Ash, Robin Aspland, Ted Barker, Jack Botterell, Alan Branscombe, Garry Brown, Johnny Butts, Leon Calvert, Bob Carson, Kenny Clare, Tony Coe, Bert Courtley, Malcolm Creese, Pat Crumly, Alec Dankworth, Jacqueline Dankworth, Johnny Dankworth, Eric Dawson, Jimmy Deuchar, Roy East, Art Ellefson, Danny Elwood, Gus Galbraith, Allan Ganley,... up to 64 musicians. 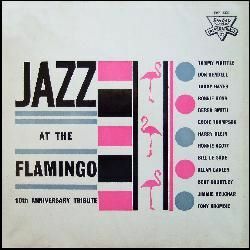 Pepper Adams, Gene Allen, Trigger Alpert, Wayne Andre, Georgie Auld, Danny Bank, Billy Bauer, Eddie Bert, Greg Bowen, John Bunch, Lennie Bush, Billy Butterfield, Billy Byers, Sid Catlett, Doc Cheatham, Keith Christie, Buster Cooper, Bill Crow, Mario Daone, Willie Dennis, Jerry Dodgion, Bob Efford, Al Epstein, Nick Fatool, Ella Fitzgerald,... up to 78 musicians. Comments: Recorded in October 2000. John Audino, Louie Bellson, Conte Candoli, Pete Christlieb, Kenny Davis, Mel Davis, David Delhomme, Willie Dennis, Kevin Eubanks, Paul Faulise, Chuck Findley, Russ Freeman, John Frosk, Bernie Glow, Urbie Green, Ronnie Gutierrez, Bob Haggart, Dorian Holley, Robert Hurst, Paul Jackson, Wally Kane, Kenny Kirkland, Al Klink, Arnie Lawrence, Shelly Manne,... up to 55 musicians. Bob Alexander, Don Ashworth, Bob Bain, John Bambridge, Sy Berger, Gene Bertoncini, Will Bradley, Teddy Campbell, Sid Cooper, Milton DeLugg, Nick DiMaio, Randolph Ellis, Gerry Etkins, Gilbert Falco, Harold Feldman, Joe Ferrante, Matt Finders, Miguel Gandelman, Maurice Harris, Scott Healy, Skitch Henderson, Al Howard, Dean Kincaid, Yank Lawson, Walter Levinsky,... up to 53 musicians. Comments: Recorded live in March 1998. Comments: Triple live album featuring tracks by David Morgan, Roland Guerin, Irvin Mayfield, Roberta Piket, Bill Watrous, Yoron Israel, Jon Regen, Von Freeman, Chico Freeman, David Morgan, etc. Comments: Sampler of live tracks recorded from 1953 to 1959. Artists featured are: Flamingo All Stars, London Jazz Quartet, Ronnie Ross Quintet (with Pete Blannin), Eddie Thompson Trio, Tommy Whittle Quintet, Tony Crombie Orchestra, Harry Klein & Derek Smith Trio and The Jazz Couriers (with Bill Eyden). Comments: Recorded live in February 1956 by Tubby Hayes & His Orchestra (7 tracks, featuring Pete Blannin and Bill Eyden), Vic Ash Quartet (4 tracks) and New Jazz Group (4 tracks). Comments: Live album taken from two concerts in 1978 and 1983. Comments: Tribute album to the late bassist Bob Haggart, under the direction of Randy Sandke, with tracks recorded from 1995 to 2002. Comments: Not a little girl anymore features (as always) fantastic musicians: Jim Cregan (guitar, vocals), Robert Ahwai (guitar), Bernie Holland (guitar), Lowell George (guitar), Jerry Friedman (guitar), Jeff Mironov (guitar), Lance Quinn (guitar), Clive Chaman (bass), Phil Chen (bass), Bob Babbitt (bass), Snowy White (bass), Max Middleton (keyboards), Duncan Mackay (keyboards), Jean Roussel (keyboards), Derek Smith (keyboards), Steve Gregory (sax), Lenny Pickett (flute), Tower of Power (horns), Jack Jennings (percussion), Phil Kraus (percussion), Carlos Martin (percussion), Ted Sommers (percussion), Richard Bailey (drums), Gerry Conway (drums), and backing vocals by Capability Brown, Annette Peacock, Liza Strike. There´s a expanded edition on CD in 2011. Comments: A very good singer, she once was Jim Cregan's wife (Jim Cregan appearing in this album). Musicians in this album: Tim Renwick (guitar), Alun Davies (guitar, he used to play with Cat Stevens), Snowy White (guitar), Jeff Mironov (guitar), Ray Parker (guitar), Lance Quinn (guitar), Derek Austin (keyboards), Bob Babitt (bass), Phil Chen (bass), Willie Weeks (bass), Max Middleton (keyboards), Jean Roussel (keyboards), James Booker (keyboards), Allen Toussaint (keyboards and producer), Steve Gregory (sax, keyboards), Ollie Brown (drums), Richard Bailey (drums), Bobbye Hall (percussion), Peter Hope Evans (harmonica), Annette Peacock (vocals), John G. Perry (vocals), Tony Rivers (vocals), Barry St. John (vocals), Liza Strike (vocals). There´s a expanded edition on CD in 2011. Comments: Recorded in August 1972. Comments: Recorded in May & June 1973.